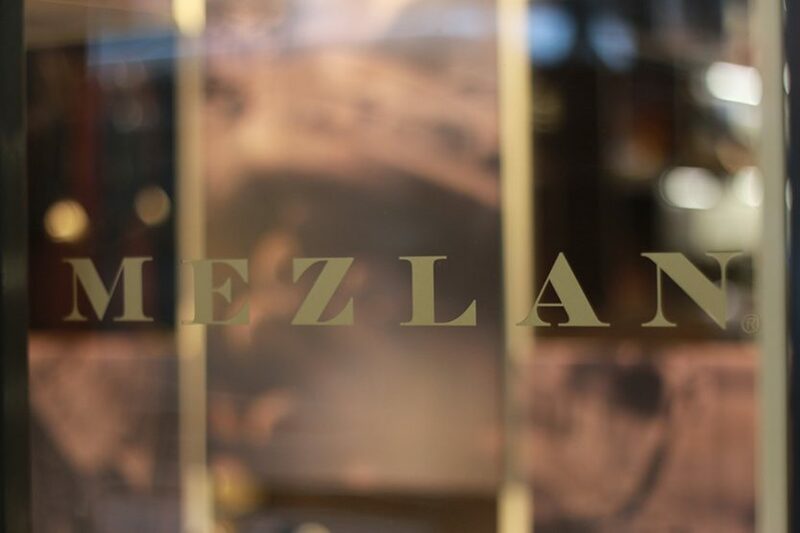 Spanish men’s footwear and accessories line Mezlan, which has distributed its products in the United States for 32 years, has opened its first New York City flagship at 520 Madison Avenue. 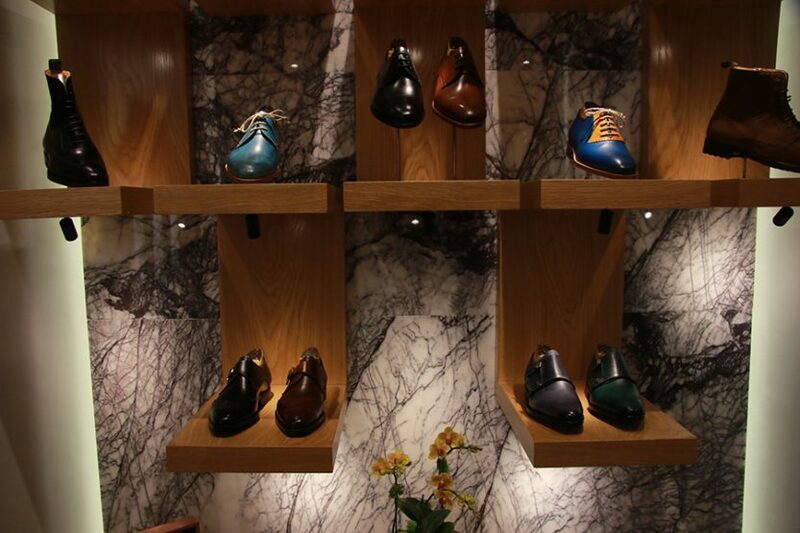 It is the company’s seventh boutique in the United States. 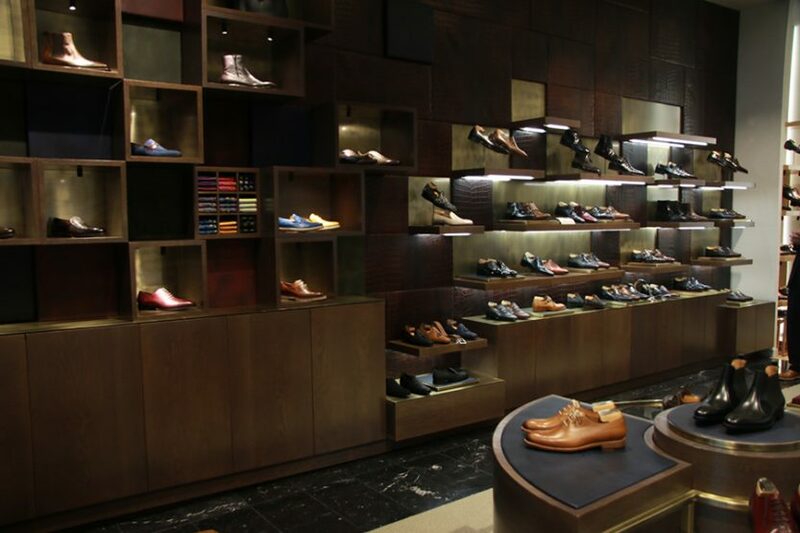 Antonio Sanchez, owner and designer of the company – working in conjunction with Zora Mobiliario of Valencia — has created an architectural embodiment of his products with the store to reflect the deeply rooted heritage of the brand. 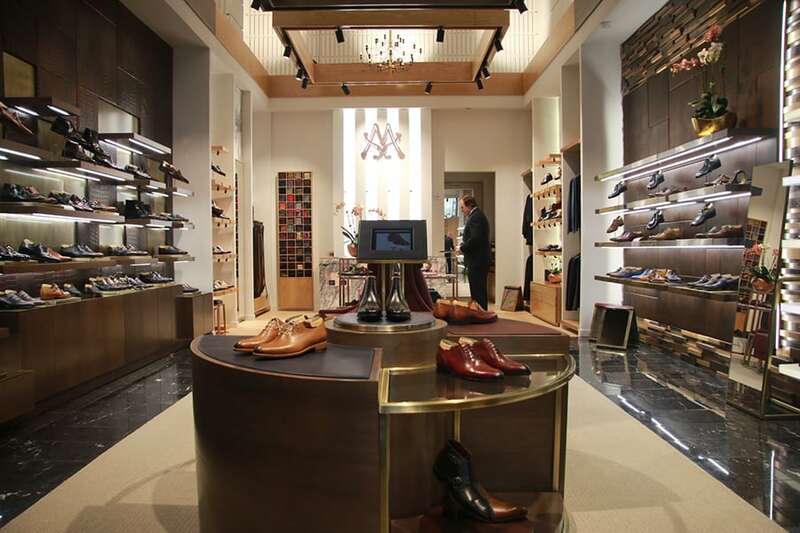 Every element of the shop, including the intricate woodwork and leather furniture, was produced in Spain and installed with the aid of Spanish artisans to represent the pinnacle of old-world craftsmanship. 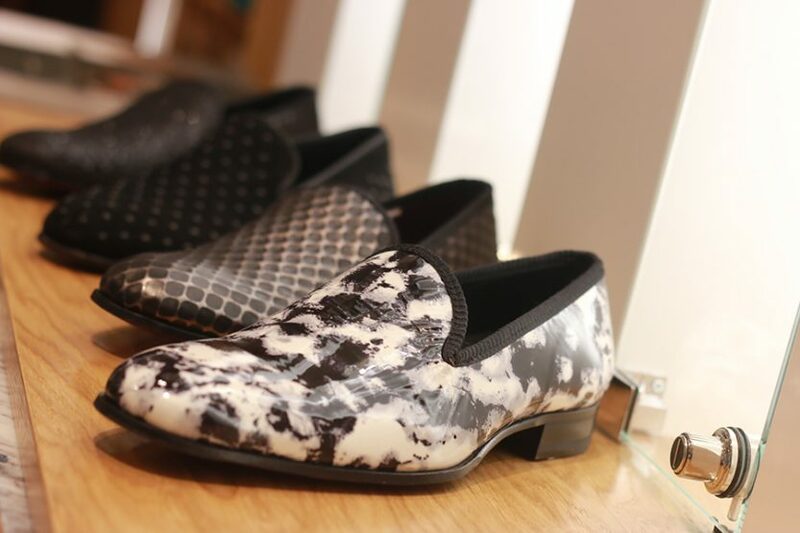 The store offers an extensive assortment of footwear, comprising more than 150 styles that range from dazzling suede sneakers, hand-painted dress shoes, boots and shoes in exotic skins, and more. 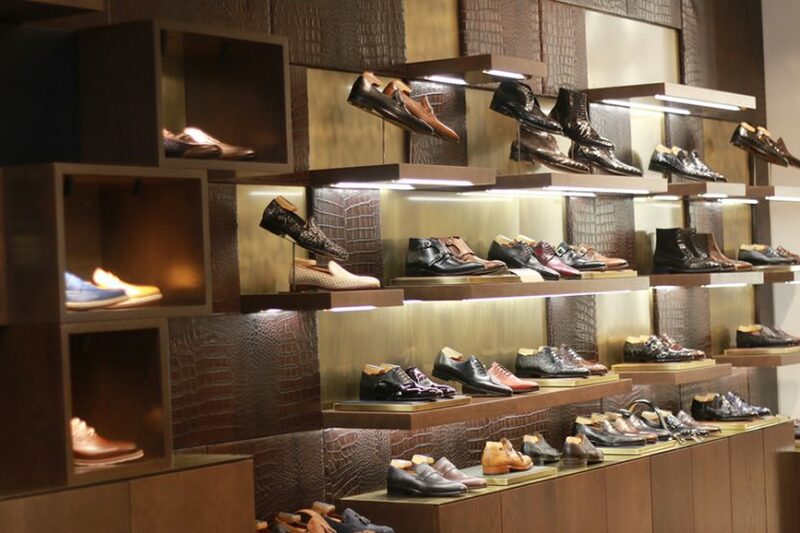 It sells goods from its Mezlan line and its lower-priced Bacco Bucci line, and is the first store to offer its newer Impronta line, which features both bespoke shoes and custom-made models, which can be ordered through a special shop-in-shop which offers personalized shoe fittings and materials. Prices for all lines begin in the $250 range and can climb to over $700. “We are a vertical company, so we can control every step in the production process,” notes Sanchez. 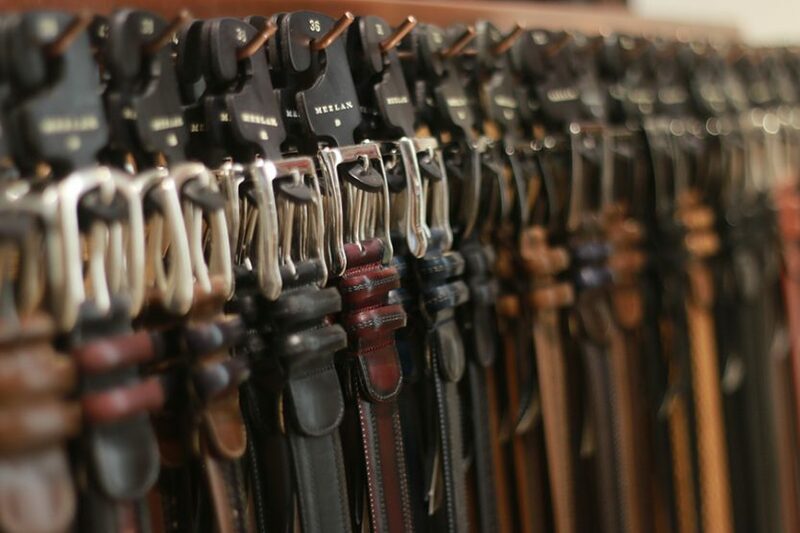 The shop also features a wide assortment of Mezlan belts, which can be customized both for size and to match certain shoe styles, and small leather goods, along with socks (made in Japan and Italy) and outerwear (produced in Italy and Spain) that have been specially ordered for the store. 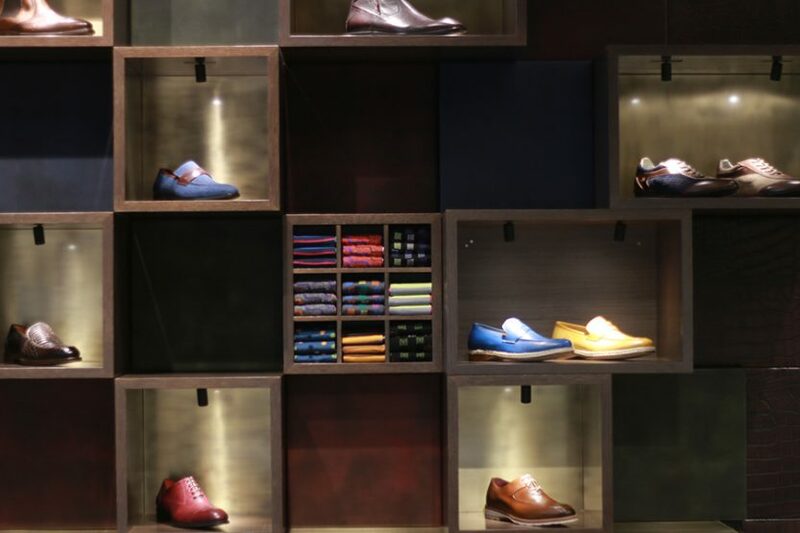 In addition, a kiosk in the middle store connects customers to the brand’s e-commerce site, as well as shows a video that explains the company’s intricate production process.